If you are looking for services of cat and [url]http://www.brittspettaxi.com.au/[/url] in Australia, then we are your final destination. We are known for transporting pets in a friendly manner, you can contact us to know more about our services. 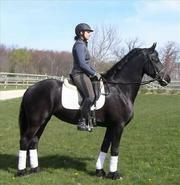 Good looking friesian horse for rehoming , please contact me for more information and pictures if interested. 2 x Blue Cattle Dog Female pups for sale, 7 months old, fully vaccinated & wormed, would suit a home on a farm or property, great with young children. Affectionate & beautiful markings $500 for both.. Male Guinea pig for sale has lovely markings and would be great for breeding. He is a big boy and doesn't do well with other males.it is a regretful sale but little brother isn't so little anymore and hasn't the time to give him the time and care he deserves. He is $10 pick up only. if interested please. We need to reduce our herd numbers and have a variety of alpacas available. Pricing pets from $450 each. Females, pregnant females and males. See our website http://www.pamas.com.au/PepperinaAlpacas.htm and play the slideshow to see stock on offer..
Are you searching for best dog training method in Melbourne then inhomedogtraining provide you all in and underoneroof and we have the team of expert dog trainer in Melbourne which make your dog and puppy obedience with training and man's best friend. 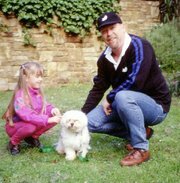 http://www.inhomedogtraining.com.au/. These kinkajous are home raised and trained, tame very friendly and get along with kids and other house pets, well socialized, vaccinated and healthy, come with papers toys, free cage contact us for more information if interested. These kinkajous are home raised and trained, tame very friendly and get along with kids and other house pets, well socialized, vaccinated and healthy, come with papers toys, free cage , contact us for more information if interested. у нас 78 лошадей и 12 жеребцов, ждем потомство 6 малышей в мае.так получилось что нам срочно нужна помощь-киви кашелек-1045100192695496. карта master card 5136913546009119.для тех кому не безразлично!ветеринарные услуги очень дорогие. they are all trained, legal, registered and they come to you with all documents. they come to you with all documents and also love from the pressure which i am giving them out. please don't seat back and looking at them contact now so that i can send them to you..
у нас 84 лошади любой породы.содержать их мы сейчас не в состоянии.тяжолое финансовое положение у нас, нечем их кормить.срочно мы просим помощи карта виза-4244366462920680.для тех кому не безразлично. Grey 16.2h standard bred. 6 years old. was bought for partner who no longer rides much. Selling as i have no time to put into him and he is going to waste in paddock. Needs experienced rider with time and he will become once again a fine horse. regretful sale..
the horse is a friesian mare with good temperament she is very calm and enjoys field and camp riding the horse is very loving to strangers and has come second two times in the local competition she is three to four years old..
8 yrs old Year Old Friesian Gelding Sibald 380 x Brandus 345 17.1 hands TALL TALL TALL Safe, Sane, Sound, Reasonably Priced Easy going, All Around Gelding. Small animal boarding for Birds, rabbits, ferrets, lizards, guinee pigs, hampsters, mice, rats etc. Enjoy your holiday and relax knowing your animals are being well cared for. We supply the food and cages where necessary or you can bring your pet in its own cage. We don't board cats or dogs just small animals. SPECIAL 20% OFF All bunnies sold in January & February. SPECIAL 20% OFF Jersey Woollies, Mini Rex, Plush Lops & Mini Lops & a couple of Dwarf Lops. SPECIAL 20% OFF All enquiries welcome ......... check out Quinty Bunnies Face Book :) or phone 0432306105. MERINO X POLL DORSET SHEEP 100 EWES AND WETHERS FROM 18 MONTHS TO 4 YEARS OLD. GOOD CONDITION SHEEP $100 EACH 40 MIXED WEANERS UPTO 12 MONTHS $ 70 EACH BEEN SHORN 8 WEEKS AGO..
Pets Avenue is a Sydney based pet accessories store that excels in providing exceptional and customer oriented products like Pets accessories, bird cage accessories, bird products online etc. You can get pets products online at competitive price. Contact us at 0414702830 or email:sales@petsavenue.com. Atherton hatchlings for sale MAKE GREAT PETS NOT TO MUCH TROUBLE EASY TO CARE FOR bUYER must have rec lic to own snakes WILL SHIP AT BUYERS EXP. 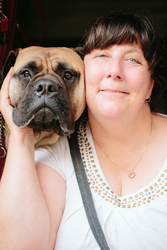 If you don't have time to walk your dog or you work long hours or need a holiday or just need time to yourself I can be the one to look after your furry little friends. I have great prices ad a loyalty program. Dog minding at my house $20 a night and $5 additional dog Dog minding/ drop in visits for 30 minues is $10. This precious white male lessoned horse with brown spots markings is 7 years old. He is on all vaccinations, coggins; teeth floated; wormed; body clipped; pre sale vet check just completed on 21 febuary 2012 . HE will come along with 16” English Saddle for a child—Thornhill, Pro Am in show condition (fits him), English bridle with reins and new hollow mouth snaffle bit (his favorite), turnout sheet (Rhambo), turnout blanket (Weatherbeeta). Hand raised Beef x freisian calves, 4-6 months old, weaned. Very quiet to handle. Steers and heifers available. Great grass eaters, breeders or pets. Located 20km south of Ballarat. Delivery can be arranged..
FOR SALE.. Very Quite Chestnut Gelding . 8yr old. 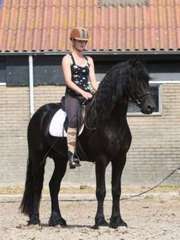 15.3 hh. Good c/s/f etc. Other pets, pets for sale Australia ads Australia, Other pets, pets for sale classifieds Australia, Other pets, pets for sale free ads Australia, ads for sale Australia, ads to buy Australia, FREEADSAustralia Page number 2-1. Find here ads for sale, to buy and rent in Australia. Goods for sale in Australia, vehicles for sale in Australia, Australia real estate for sale, Australia property for sale, property for rent in Australia, business ads in Australia, Australia business classifieds, services in Australia, Australia services ads, jobs in Australia, pets for sale in Australia, Australia dating, Australia cars for sale.